This one is huge and will be the hit of your event, the obstacle course by itself is 40 feet long and has numerous popups, popouts, tunnels, climb area, logs and other things to challenge all of your guests. The double lane slide is a whopping 18 feet tall and has an inflated landing to assure of a safe event. 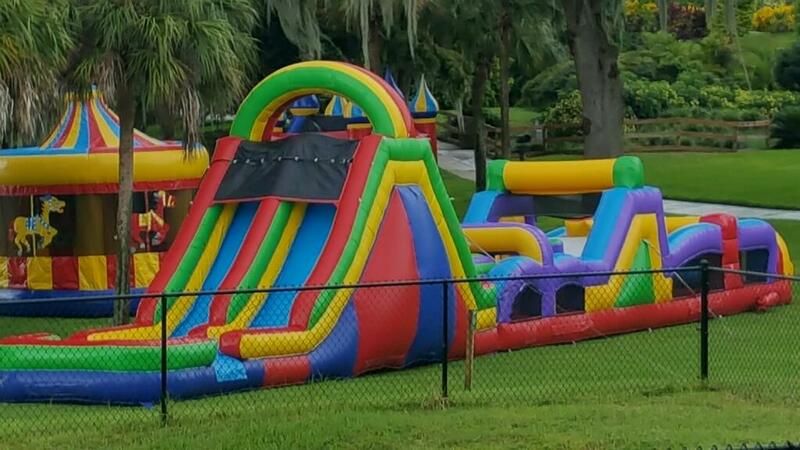 We also have many more interactive inflatables as well as smaller games to make your event the best available. Including a 28 feet tall climbing wall, wrecking ball, basketball, teeball, joust and many more.